What is the philosophy of Carden Hall’s Pre-K program? Children abound in intellectual curiosity and eagerness to learn about their world. With proper age-appropriate settings, a creative curriculum, and a nurturing community, we believe that all children can become successful learners. We believe in educating the whole child, including the mind, body, and spirit. Thus, we offer daily opportunities for growth in all four developmental domains: social/emotional, physical, language, and cognitive. Each domain plays a crucial role in learning and provides balance in a child’s life. We offer a child-centered, discovery-based program because children learn best through active play and hands-on, experiential activities. We believe that children are active participants in the learning process and that their varied learning pace and styles should be encouraged. Our aim is to provide a program that will assist your child in establishing self-discipline, self-esteem, independence, and a life-long love of learning. What is the teacher’s role? In addition to ensuring your child’s safety, the teacher’s role is to stimulate each student’s natural intellectual curiosity and build upon his/her ideas to create new knowledge. This is done by providing a nurturing environment in which learning can take place easily and naturally and where each child feels successful every day. How would you describe the curriculum? Our full-day program features small-group settings that offer both child-interest play centers and teacher-initiated academic activities. At the discovery play centers, where children are allowed to work at their own level and pace, they can pursue special interests, spark their imaginations, enhance their social skills, and learn to collaborate with others productively and joyfully. The teacher-directed lessons and activities take into account the children’s developmental stage and varying levels of academic readiness. Therefore, the emphasis is on exposure to new information versus memorization of facts. 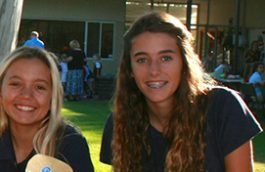 Review of new concepts and enrichment activities are also built into our academic curriculum. By introducing foundational academic skills in the areas of science, numbers, pre-reading, literature, and social studies, our program enhances your child’s readiness for Kindergarten. On any given day we strive for a balance of full-class and small-group activities, as well as indoor and outdoor play. 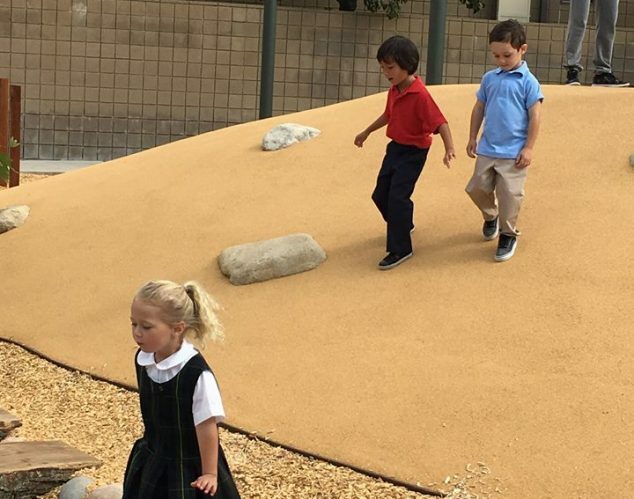 Outdoors, in a specially designed natural play yard, children participate daily in both free-choice play and skill-based physical education lessons. 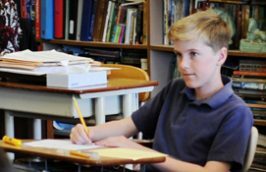 In addition to the daily activities provided by the classroom teacher, our program offers lessons by special subject teachers in French, STEM, music, and art. A rest time occurs after lunch each day so that children are able to feel refreshed and focused for the afternoon activities. Several times each trimester, your child will bring home a note from the teacher outlining many of the exciting activities of that week. It may include songs and poetry learned, the focus of numbers or language lessons, or a short discussion of the week’s social studies or science activities. In addition, each note will provide related enrichment ideas that you can pursue with your child, should he/she show a particular interest. You can support your child’s school success by ensuring that he/she comes to school well-rested and well-nourished each day. Reviewing the teacher’s note about activities with your child can facilitate a discussion during which you can identify special areas of interest. Additionally, you can ask your child to tell you about take-home projects and papers. You will delight in listening and in setting a pattern for all school years to come. How will I know if my child is making good progress? Because our program is a developmentally appropriate, child-centered, carefully-sequenced curriculum, you can assume that your child is feeling happy and successful at school. We will notify you if we note any areas of concern and would appreciate it if you would do the same. An open, positive working relationship between parent and teacher enhances your child’s success. We also encourage you to plan a visit to observe in the classroom and to attend school Open Houses. Is there an admissions evaluation required for your Pre-K program? If so, what will my child need to know? Yes, an admissions evaluation will determine your child’s readiness for our program. 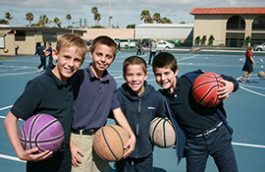 Your child, and a few other children his age, will meet with the Pre-K teacher and spend some time playing and taking part in activities that are meant to gauge readiness factors such as attentiveness, willingness, involvement, direction following, confidence, self-control, and social awareness. There are no academic requirements for Pre-K admission although a year of pre-school is recommended. There is, however, a minimum age requirement for admission; your child must be at least four years old by September 1. How can I learn more about Carden Hall in general and the Pre-K program in particular? 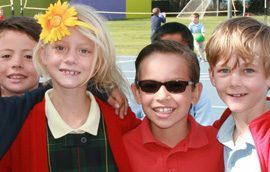 We encourage you to call our Admissions Director, Mrs. Peterson, at 949-645-1773 and arrange for a prospective parent school tour. 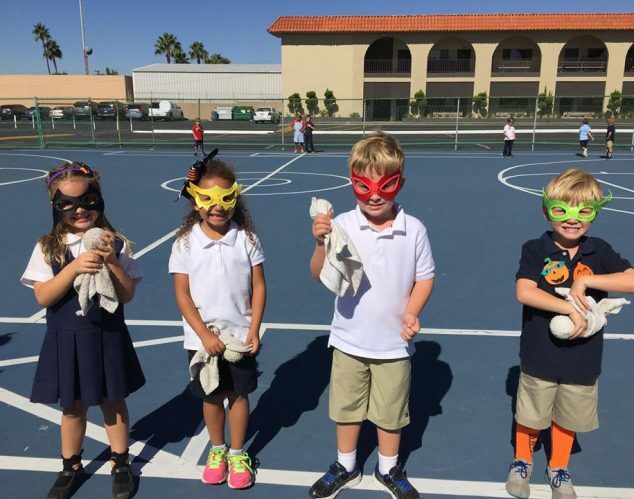 During the tour you will have the opportunity to ask additional questions as well as visit the Pre-K classrooms, and see our students enjoying the myriad of activities our exceptional program has to offer. We look forward to meeting with you and starting the important partnership. Thank you for your interest.